It`s time to restart the world! 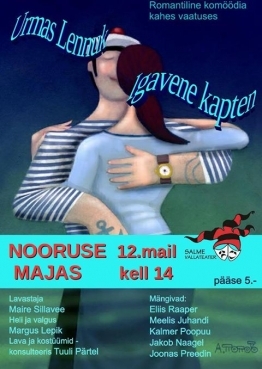 Nooruse Maja is a non-profit organization based in Pärnu, the summer capital of Estonia. It is 130km from Tallinn and 190km from Riga on the Baltic shore. Nooruse Maja is a cultural house that provides many opportunities for the local community and also with the many people we have in contact with us all over the world. Once you get to know us, you will see that we are more than just a cultural house. We are also a gateway to Europe, a people's university, a place to talk about your project and share it, and a place to meet new people. You are welcome here no matter your age, language you speak, or whatever you want to learn or to teach. In short, here you can learn, enjoy and share with different kinds of people. • International projects: Nooruse Maja is taking part in several International projects such as ERASMUS+ youthworkers training courses and seminars and EVS (European voluntary service). 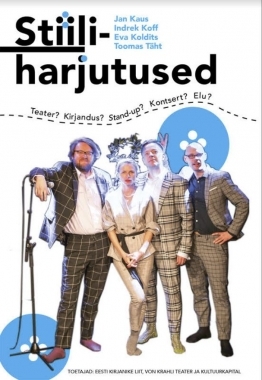 • Classes: Nooruse Maja Pärnu Rahvaülikool (Pärnu People’s University) offers a range of self-development, business, information technology and language courses. Some of the classes require payment, some are free. • Events: we organize events almost every week and festivals in summertime. • Renting rooms: Modern Hall of Nooruse Maja, has a brand new floor, a stage and equipment, and a mirrored wall. It is perfectly suited for all kinds of dance and aerobics, concerts and theater performances. The house has a cafe, an exhibition hall and a WiFi area. It also has access to wheelchairs. We truly want to be a house of continuous learning and cultural exchange for everyone, now and in the future. All activities (international projects, training courses and events) are continuous. The rooms are used by children, youth and adults. It is important to us that children and teenagers can learn new things and, broaden their horizons. It also important that seniors can also come and do so as well. We are happy to welcome seniors, because we think it is never too late to learn. We also truly believe in volunteer work and helping communities. Indeed we are welcoming volunteers for any kind of event we are organizing, especially festivals. Furthermore we also work in collaboration with Pärnu county's volunteer centre in order to promote volunteer work. We have been cooperating with the youthworkers of Pärnu County and the city, offering them opportunities to take part in training courses in Estonia and abroad. We believe in training youthworkers, who can communicate their knowledge to young people. Only the youth can change the world for the better. One of our objective is also to develop European and worldwide networking. Indeed we have participated in projects that involved most of the countries of the European Union. We have hosted 8 young European volunteers and a group of senior volunteers from Cyprus. We have had projects in several European countries and even in Uganda, Kenya, Lebanon, and Tunisia. We are always looking for new activities to offer in our house. We try to use the skills from all the new people we work with and to change our activities in order to adapt ourselves to the public. We follow the trends of the time but also the wishes of the visitors of our house as much as possible.